Max Verstappen took an unexpected victory, as Lewis Hamilton, lost the world championship lead. Hamilton was retired due to a loss of fuel pressure with eight laps to go when he was struggling to regain his title lead following a Mercedes strategy blunder and tire problems. Mercedes will leave Austria and head to Silverstone with plenty on their minds as they ponder how what had looked set to be an easy one-two on a weekend they had dominated fell apart. His retirement, with title rival Sebastian Vettel finishing third in his Ferrari behind team-mate Kimi Raikkonen, puts Vettel into a one-point lead heading into next weekend’s British Grand Prix. 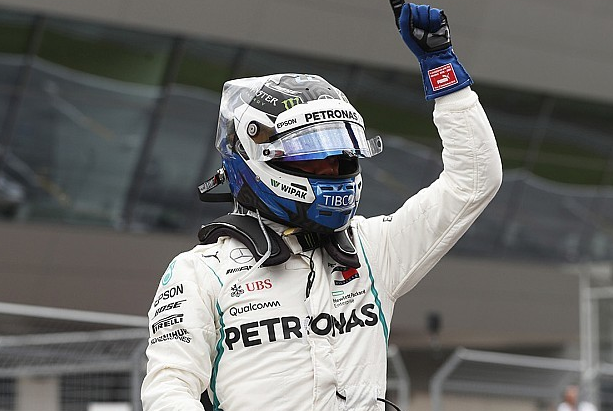 Mercedes’ chief strategist James Vowles came on to the radio to apologize to Hamilton, saying, “it was his error – a message he had to repeat later in the race after his driver complained about the team “throwing away a win”. Heading into the race, few have predicted about the Red Bull victory. But hotter temperatures in the race than in qualifying brought them back into the competitive picture, and Verstappen put himself into a position to benefit from Mercedes’ misfortunes with an aggressive first lap. As Raikkonen ran wide out of Turn Three after challenging the Mercedes, Verstappen pounced. Bottas passed the Ferrari and Red Bull on the outside on the run to Turn Four, and then the Dutchman took third place from the Ferrari with a brave move into the fast Turn Seven. Verstappen was six seconds clear of the Ferraris with 20 laps to go, but he began to run into the same blistering problems that had afflicted Ricciardo and Hamilton and he had to measure his pace to the end. He crossed the line just 1.5secs ahead of Raikkonen, with Vettel a similar distance behind. Bottas reclaimed second place with a brave move around the outside of Verstappen and Raikkonen into Turn Four and Mercedes looked to be in control. But Bottas retired on lap 14 of 71 with a loss of hydraulic pressure, and Mercedes’ strategists failed to react to the imposition of the virtual safety car, which remotely forces all cars to reduce speed, as his car was recovered.